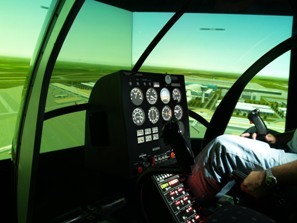 Simulators are used more and more in helicopter flight training, and research has revealed that they are of great value when it comes to practising flight procedures. This is also very true for helicopters. The same research also tells us that it is not necessary to train in a Full Flight Simulator (with its advanced motion cuing systems) to practice flight procedures. 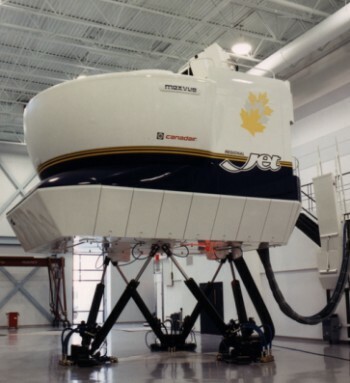 Flight Simulator Devices, which 'only' resemble a helicopter in general terms and are without a motion platform, are already effective training aids. Of course, the impressive Full Flight Simulators (FFS), with their six DOF motion platforms, add a lot in terms of perceived movement fidelity. This contributes to both pilot acceptance and a flight perception that is close to reality. This section describes the several types of certified simulators that are approved by the authorities. Although the regulations differ between countries, the ideas behind the different kinds of simulators are the same. In general, there are three types. This is a basic simulator for basic flight procedure training only. It is not a replica of a specific type or make of aircraft, but is a general setup. It is most like flight simulation based on a PC, with one or more screens and spring based controls (e.g. joystick, pedals). 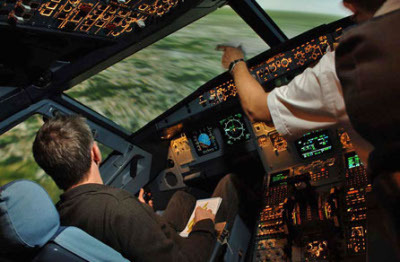 The second class of simulators are the Flight Training Devices (FTDs). These closely resemble a real cockpit environment, either with a closed or open flight deck, but are always built in a 1:1 scale (full size). There is a substantial amount of hardware involved (cockpit, gauges, panels, etc.) and there are two sub-classes: devices which resemble a specific type or make, and those which represent a class of aerocrafts (for example, single piston engine aeroplanes or turbo shaft powered helicopters). 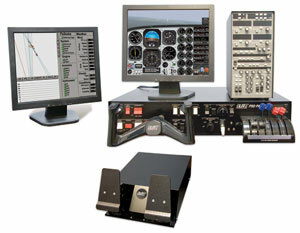 The third and last type of device is the Full Flight Simulator (FFS). This is the most advanced system. It is a full size replica of a specific type or make of craft, has a visual system which generates an out of deck view, and is equipped with a force cue motion system. A simulation in an FFS is almost like real flying, but these devices are very expensive. 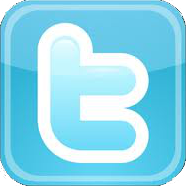 Hi I am trying to find a company who can provide a rear cabin mock up suitable for medivac training - any ideas please?